Erin and John Ennis hail from two different parts of the world but were brought together by a mutual love for Lexington. John is originally from Longwood County, Meath in Ireland. He’s trained horses from England to Dubai, but ultimately chose to make his home in The Horse Capital of the World. Erin is originally from Springfield, Kentucky, but moved to Lexington nine years ago for college. She and John met during the winter of 2014, while downtown with friends. John asked her to attend “The Million Dollar Quartet” with him at the Opera House and after that first date, the two were inseparable. 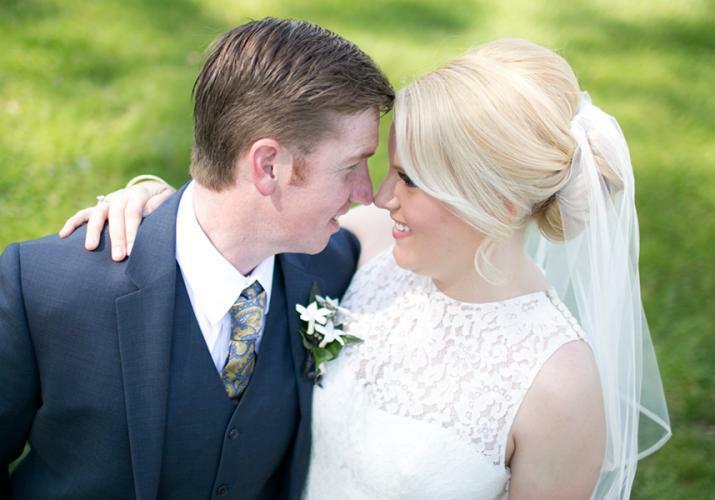 Erin and John were married on April 23, 2016 at St. Paul Catholic Church on Short Street. 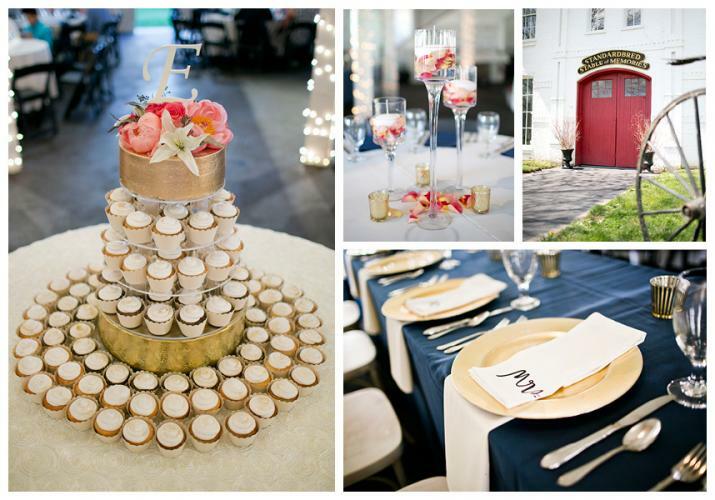 The two chose this venue because they attend the church and love its historic beauty. 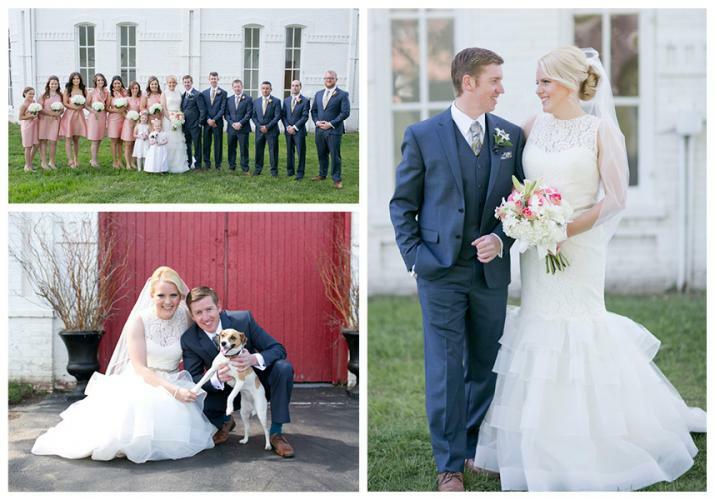 Following the ceremony, family and friends from the United States and Ireland celebrated with the newlyweds at The Round Barn at the Red Mile Racetrack. Erin and John were delighted to have so many friends and family under one roof and made sure there was outstanding food and entertainment for their guests. 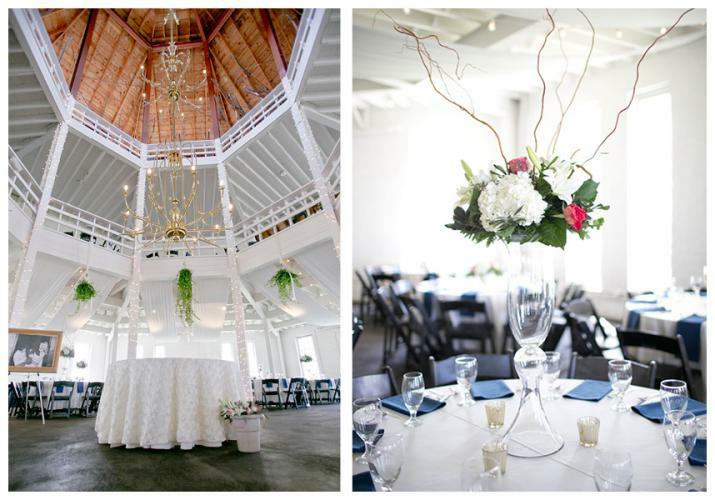 The planning process for the wedding was thought out in detail, as Erin works as an Event Coordinator at Bayou Bluegrass Catering and has seen many, many events, and had several ideas of what she wanted their wedding to look like. According to the bride, planning the menu was probably the most difficult thing to decide on, because she knew all-too-well the many options available. Ultimately, the couple decided on a Kentucky-centric theme to reflect the heritage of the Bluegrass State for out-of-town guests. This included an eclectic array for dessert, including a small wedding cake, cupcakes, and the bride’s favorite dessert from Bayou Bluegrass – New Orleans Bread Pudding with Kentucky Bourbon Sauce. 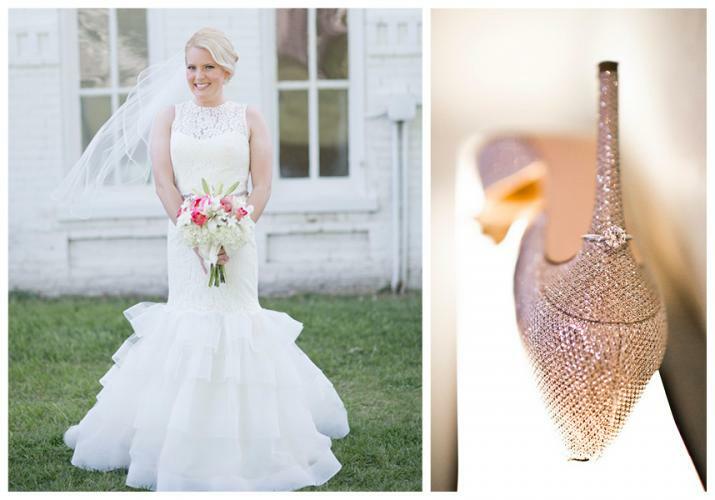 The décor was another detail the bride carefully planned out. She wanted something completely unique, and worked with Crist Creona Designs to achieve a modern, elegant feel with a color palette of champagne, navy, and salmon. The end result was stunning and the newlyweds celebrated their union in a beautiful, historic setting, surrounded by family and friends from across the world. 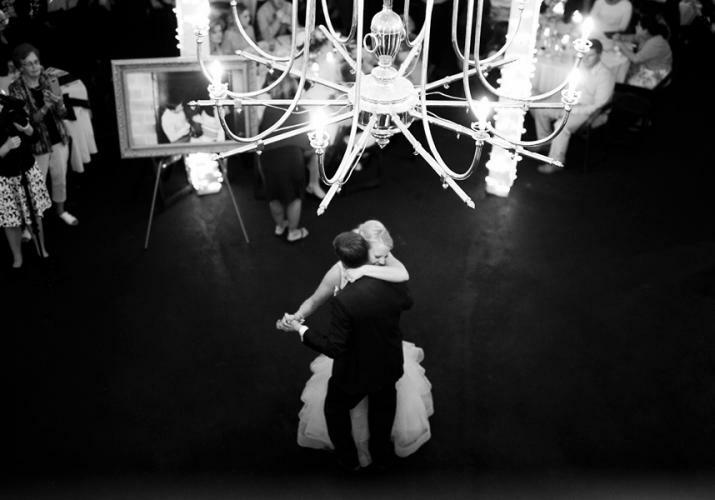 When asked what advice the couple would offer to those planning a wedding, they said, “If you take dance lessons, make sure you wear something to the lessons that is similar to your wedding dress; we had to cut our practiced dance the day-of because Erin’s beautiful dress was not made for it,” said John.